8-INCH CANVAS TAB P650 UNVEILS BY MICROMAX. Home » Technology » 8-INCH CANVAS TAB P650 UNVEILS BY MICROMAX. Micromax Ltd. unveils its first tablet model called Canvas Tab P650. It contains 8-inches of display with IPS (1024*768 pixel) resolution. It has 1.2GHz quad-core processor powered. The memory capacity consists of 1 GB of RAM and 16 GB of built-in storage which is expanded support upto 32 GB of microSD card. It has 4,800 mAh battery and estimates till 5 hours of browsing. 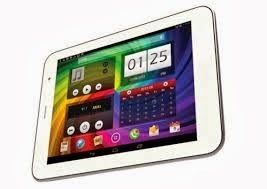 The tablet contains a SIM-Card slot voice calling with 3G support, WiFi, bluetooth and GPS connectivity. The software consists of Android 4.2.1 Jelly Bean and upgraded with OTA updates. Opera Mini. The Canvas Tab P650 is obtainable in white and black color with starting price of Rs. 16,500. LATEST WINTER WARMER SOUP MINESTRONE. SOFT DRINKS INCREASES OBESITY AMONG CHILDREN. CANCER HAPPENS WHEN MUTATION IN THE DNA OF CELLS. LG INTRODUCED ITS NEW G2 SMARTPHONE. LIVING BY NUCLEAR PLANTS DO NOT HAVE AN INCREASED RISK OF LEUKAEMIA. HIGH CHOLESTEROL LEADS UNSAFE TO MEN. FAMOUS DIWALI SWEET COCNUT SHEERA.